Boost network efficiency: With multi-user MIMO (MU-MIMO), you can transmit to multiple Wave 2 clients from an AP, at the same time. ClientMatch unleashes MU-MIMO: Aruba ClientMatch software groups Wave 2 clients together, enabling MU-MIMO. That means a faster, more efficient network. 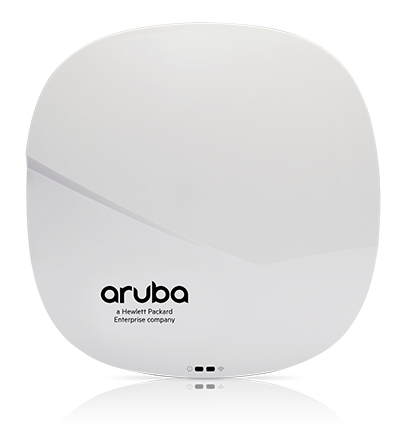 Integrated Bluetooth Beacon: 310 series APs have an integrated BLE Beacon to simplify management of a large-scale network of battery-powered Aruba Beacons.